Hollins University has named Julie DeLoia, Ph.D., as dean of graduate studies at the university. She will oversee the university’s established graduate programs and be responsible for developing new programs. DeLoia comes to Hollins from Jefferson College of Health Sciences in Roanoke, where she had served as dean of the college and professor of arts and sciences since 2017. She also held a secondary appointment at Virginia Polytechnic Institute and State University School of Medicine, where she was a professor in the department of interprofessionalism. 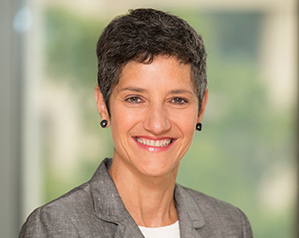 Previously, she held various academic appointments and leadership positions at the George Washington School of Public Health, Georgetown University School of Nursing and Health Studies, and the University of Pittsburgh School of Medicine. DeLoia holds a B.S. in biology from Westminster College and a Ph.D. in human genetics from Johns Hopkins University. She completed a post-doctoral fellowship at the University of Pennsylvania’s Wistar Institute. Hollins offers coed Master of Arts (M.A.) degrees in children’s literature, liberal studies, screenwriting and film studies, teaching, and teaching and learning, and Master of Fine Arts (M.F.A.) degrees in children’s book writing and illustrating, children’s literature, creative writing, dance, playwriting, and screenwriting. For more information about the university’s graduate and certificate programs, visit https://www.hollins.edu/grad.